I’ve been watching The 39 Clues idea for the last several months. In addition to other coverage, Hillel Italie at the Associated Press wrote about it too. 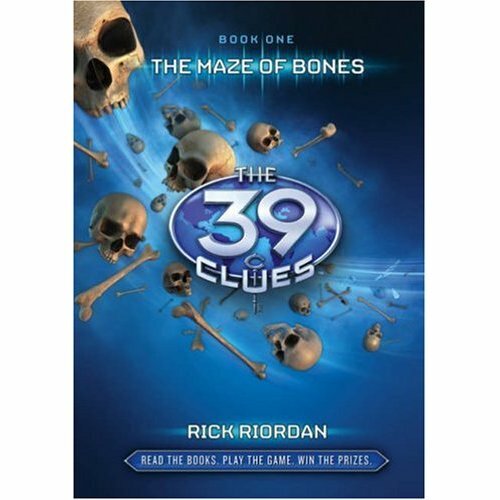 So what is The 39 Clues? In marketing speak, it’s a cross-platform interactive reading experience combining action-adventure lite novels – with elements of the Da Vinci Code for the pre-teen set – with online scavenger hunts and trading cards that come with the books and are sold separately for $6.99 per pack. Wow, that’s a mouthful. Will it work? I have my doubts, but I certainly laud Scholastic for putting money behind the experiment. I certainly think it will appeal to a subset of preteen and teen boys and girls. When I was a kid, I was fascinated with codes, invisible ink, etc. I think kids who are into those kinds of things will eat this up and ask for more. But, I don’t think that that audience is a mainstream audience. Call me cynical, and god I hate sounding old when I write this, but I fear that many of the Harry Potter fans are sucking up those books as part of a mile wide, inch deep pop culture that bombards them every day. How many Harry Potter fans finish the last page and grab a Lloyd Alexander, Andre Norton, Susan Cooper, or whatever is the next book in their to-be-read pile? Not many, I think. Instead, I think they close the last page of Harry Potter and turn on Hannah Montana or watch High School Musical 2.5. I’d love to see The 39 Clues succeed. Anything that captures kids’ interest in reading is a-ok with me. But, The 39 Clues has a “manufactured” feel to me, and I don’t think it’s going to have legs to survive and thrive beyond the planned 10 books. I hope that I’m wrong. I think what Scholastic is trying to do is something that marketers face every single day – trying to replicate the lightning-in-a-bottle of a grassroots phenomenon such as Harry Potter. At the end of the day, even though I work in PR, I often wonder if that’s a chicken-and-the-egg dilemma. Can you manufacture and propel grassroots enthusiasm? I honestly don’t know. “But will magic strike as it did for other series with heroic orphans — J.K. Rowling’s Harry Potter books and Lemony Snicket’s A Series of Unfortunate Events? Young readers gradually made them publishing phenomena before grown-up marketing set in. Previous PostPrevious What Books Will You Be Reading This Fall?